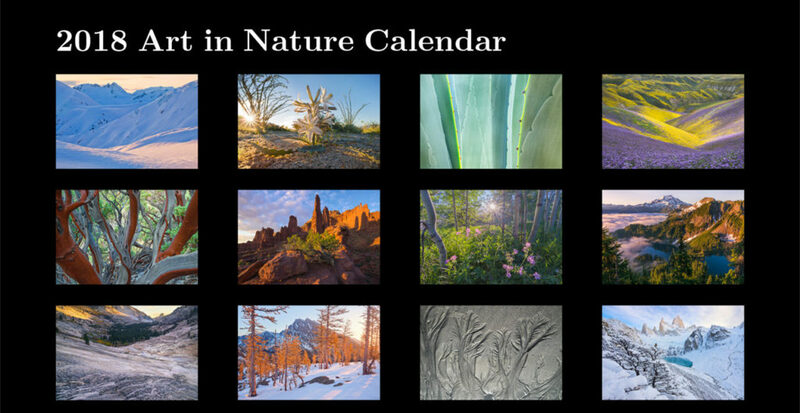 Art In Nature : 2018 Calendars! 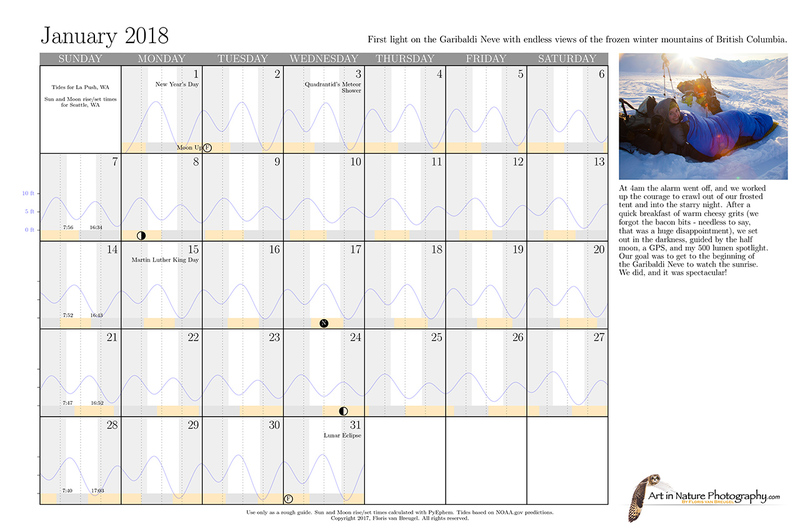 I am now taking pre-orders for my 2018 Calendar. 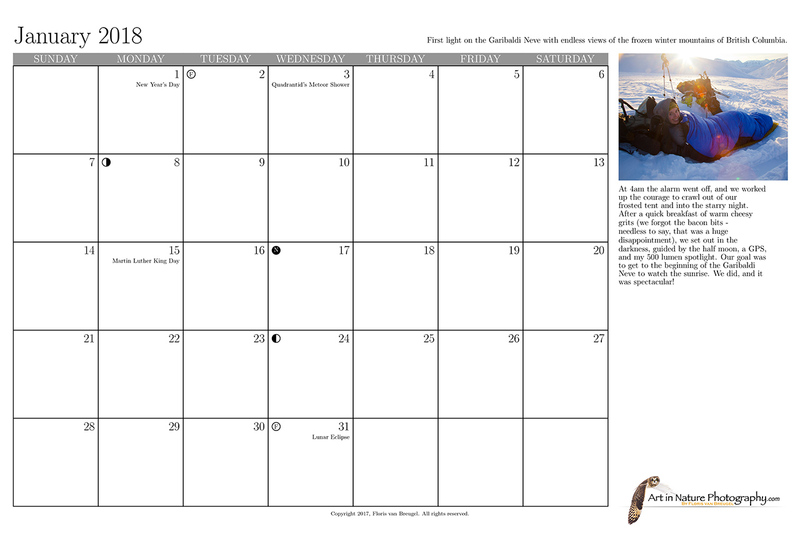 I always run out, so please order in the next week to make sure I have enough of them printed! 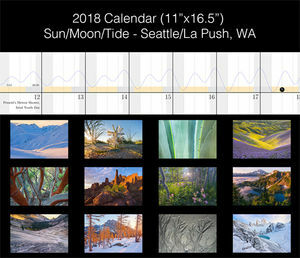 This year’s calendar features images from Washington, California, Patagonia, Canada, Wyoming, and Utah. Each month has a unique image, as well as a small excerpt from my blog detailing the adventure, or natural history, pertaining to the image.